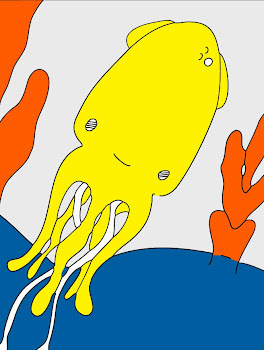 Technicolor Squid: Attempting To Build A Blog 1. Attempting To Build A Blog 1. Hello. This is not as fun or easy as previously expected. As a matter of fact, it is quite an unpleasant experience all-in-all. Today I figured out a lot of behind the scenes information. Tomorrow I will have to figure out how to make this look a lot lot prettier. I am very happy that you visited in the meantime. I miss you all. I am going to attempt comments. I would love to know if it works. thank you. xox=vv.